Local journalists critical of the government can fall prey to an “anti-terrorism” law that if “violated,” can mean imprisonment in harsh conditions. Ethiopia is one of the most difficult countries in the world to work as a journalist. It has consistently been ranked among the highest oppressors of press freedoms by international organizations such asReporters Without Borders and the Committee to Protect Journalists. 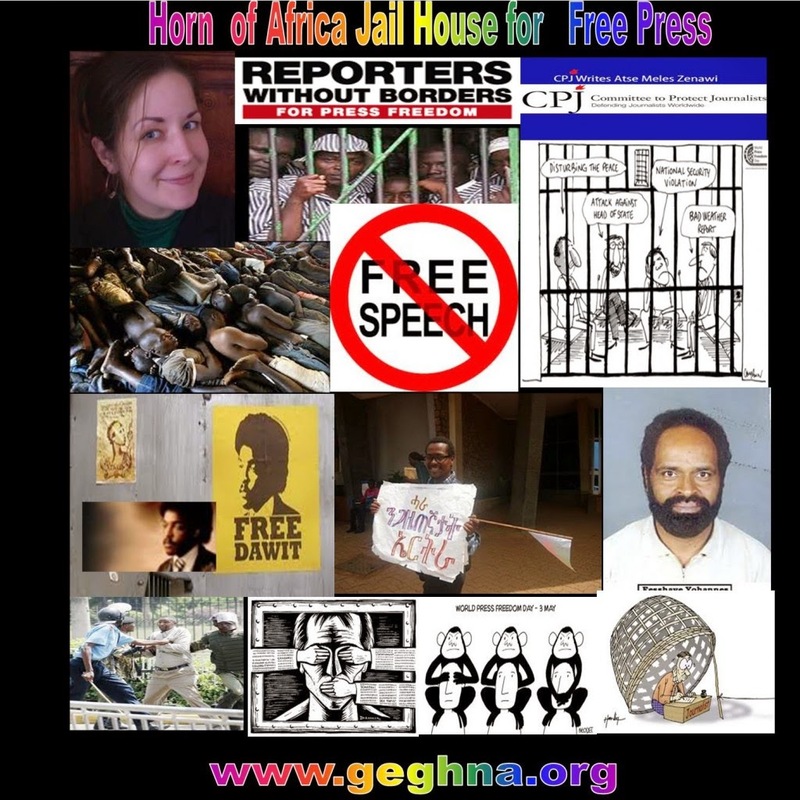 According to CPJ, Ethiopia currently has the second most number of jailed journalists (6) on the African continent (with neighboring Eritrea being number one ), and it is ranked eighth in the world for imprisoning journalists. The problem became grave just before and after the 2005 elections, when nearly 200 people weregunned down by Ethiopian forces during violent protests. Several prominent local journalists were blamed for the unrest, which the government claimed was fomented by much of the press. Since then, several international journalists have been arrested and detained for varying lengths of time, including New York Times East Africa Bureau Chief Jeffrey Gettleman, two freelance Swedish journalists – Martin Schibbye and Johan Persson, and many more. Local journalists who have been critical of the government have been caught in the dragnet of an “anti-terrorism” law passed in 2009 that is disguised as a way to control in-country media, and if “violated,” can mean imprisonment in harsh conditions. One such journalist, Eskinder Nega, jailed for two years so far on trumped up terrorism charges, is serving an 18-year sentence. The government claims he was not jailed for being critical of the government, but for running a terrorist organization. 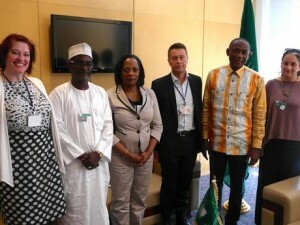 On Wednesday Amnesty International issued an appeal to renew awareness for Nega’s release. Since his imprisonment, international media attention has been placed on his plight. He was alsoawarded the prestigious PEN America award in 2012, with his wife receiving the honor in his absence. He also wrote an op-ed in The New York Times from jail entitled, “Letter from Ethiopia’s Gulag,” where he detailed Kaliti Prison’s dirty floors and a trio of toilets for roughly 1,000 inmates. He also urged the U.S. to act on his behalf. His wife lives there in exile. The White House won’t act, ostensibly, because Ethiopia is a close ally in the war on terror in the Horn of Africa. Ethiopia also plays permanent host to the African Union, the continent’s equivalent of the European Union. Because of the AU, the U.S. has a dual diplomatic mission in Addis Ababa, Ethiopia’s capital, one for the pan-African congress and the other for the Ethiopian government itself, both playing very different and separate roles. Billions of dollars of aid are funneled into Ethiopia every year, too, and the nation has the second-highest population and one of the most powerful militaries as well on the continent. But the pleas to free Nega have fallen on deaf ears. Meles Zenawi, the long-time Ethiopian prime minister and once rebel leader who ironically freed the nation from the brutal Derg regime of the 1970s and 1980s, died in 2012. It was under his tenure that the anti-terror law was passed and the new leaders don’t seem in any rush to make any changes. For now, Nega languishes in Kaliti Prison. According to the Amnesty report, in May 2013, Nega issued a note from prison, saying, “I will live to see the light at the end of the tunnel. It may or may not be a long wait. Whichever way events may go, I shall persevere! Ranked 137th out of 179 countries in the Reporters Without Borders press freedom index, Ethiopia remains a very dangerous country for journalists.